High cholesterol levels increase your risk of high blood pressure, heart disease, and other dangerous health conditions. 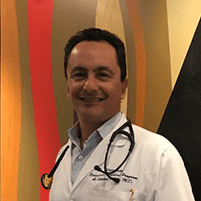 Board-certified internist Shawn Veiseh, MD, provides cholesterol testing and treatments to improve your cholesterol levels and overall health at his practice, University Executive Physical Program, in the Westwood neighborhood of Los Angeles. If you’re concerned about your cholesterol or are looking for an internist who provides exceptional, patient-focused care, call Dr. Veiseh or make an appointment online today. Cholesterol is a waxy, fat-like substance produced in your liver that your body uses to make hormones, vitamin D, and other substances that help you digest food. You have two types of cholesterol in your body: LDL and HDL. LDL cholesterol travels through your body in your blood and is deposited where your body needs it to function. LDL is considered “bad” cholesterol because when you have too much of it, it can accumulate in your blood vessels, leading to atherosclerosis and cardiovascular disease. HDL cholesterol also travels through your blood vessels, but its job is to pick up extra, unused LDL cholesterol and carry it back to your liver. HDL is considered “good” because it cleans up your blood vessels. High cholesterol is a condition in which you have too much LDL cholesterol or not enough HDL cholesterol to effectively remove the excess LDL deposits in your blood vessels. According to the American Heart Association, you should have a ratio of five or less for healthy cholesterol levels. Your ratio is determined by dividing your total cholesterol by your HDL number. Your body produces all the cholesterol it needs. However, when you eat a diet that’s high in fat, you increase your LDL cholesterol levels. Additionally, if you lead a sedentary lifestyle or if you smoke, it lowers your HDL cholesterol. High cholesterol doesn’t cause any symptoms until you have a cardiovascular event like a heart attack or stroke. Having routine cholesterol screenings during your annual exam in a blood panel is the best way to identify high cholesterol early. Committing to healthy living habits is the best way to regulate your cholesterol levels. However, if changing your diet and exercise habits aren’t enough to lower your cholesterol, Dr. Veiseh prescribes medications. These include statins, bile-acid-binding resins, and cholesterol absorption inhibitors that change the way your body absorbs and uses cholesterol. If you’re concerned about your cholesterol levels or have a family history of high cholesterol, call Dr. Veiseh or schedule an appointment online today for cholesterol screening and expert medical advice and treatment.